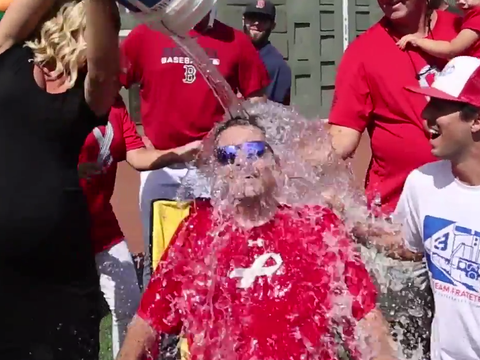 Pete Frates, the inspiration behind the ALS Ice Bucket Challenge. I’m not one to do silly things in place of donating to a worthy cause, but I’m happy do the ALS ice bucket challenge and make a donation. I also ran a marathon for a worthy cause back in 2009, which I guess would be doing something silly for charity, but remember tax deductible or not, trending on Facebook and Twitter or not, I encourage you to make you donations to those organizations close to your heart and make a difference in the world we live in! You may not realize how much you matter and make a difference in others! Make it count!